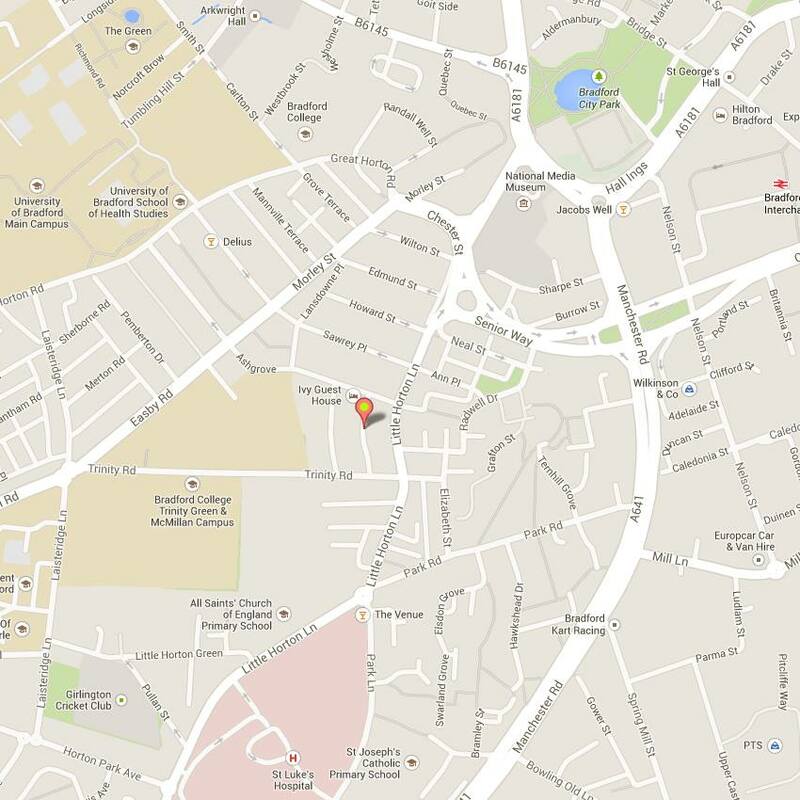 Our venue is located on a little cobbled backstreet (Back Russell St.) which is roughly half way between The National Media Museum and St Lukes Hospital (which are both on Little Horton Lane, approximately half a mile apart). 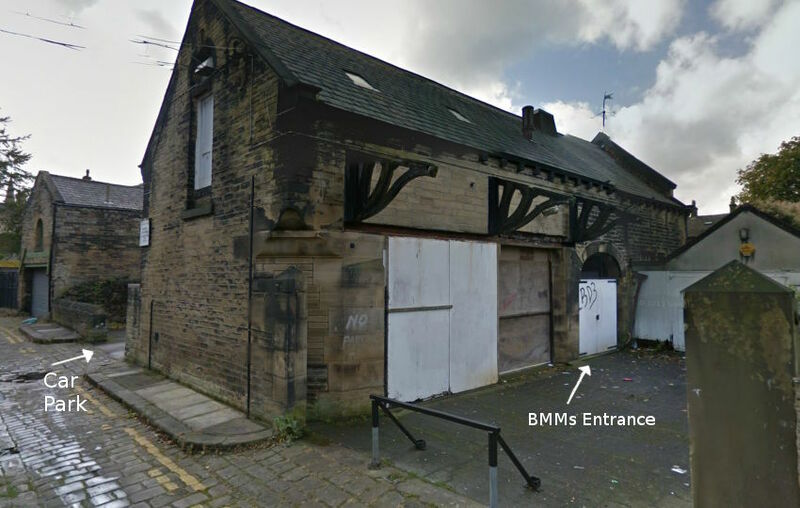 When starting from the Media Museum, head away from town on Little Horton Lane towards St Lukes. At the roundabout take the 2nd exit continuing on Little Horton Lane. Look out for Melbourn Place on your right hand side (see next picture). I believe it's the 3rd right hand turn after the roundabout. 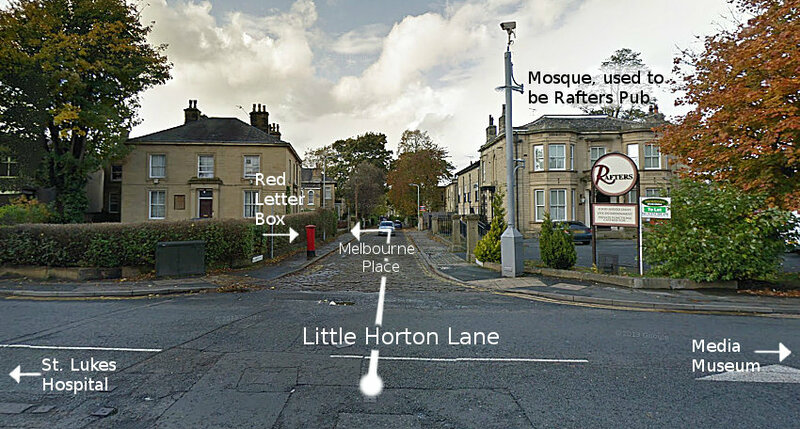 Right, you're looking for Melbourne Place, which is a cobbled road with a small Mosque on the right (used to be the Rafters Pub), and a Red letterbox on the left. Go down this road and take the first left on to Back Russell St. If you're on Russell St, you've missed the turn and gone too far. See next picture.